This may or may not be the best way of getting here for you. 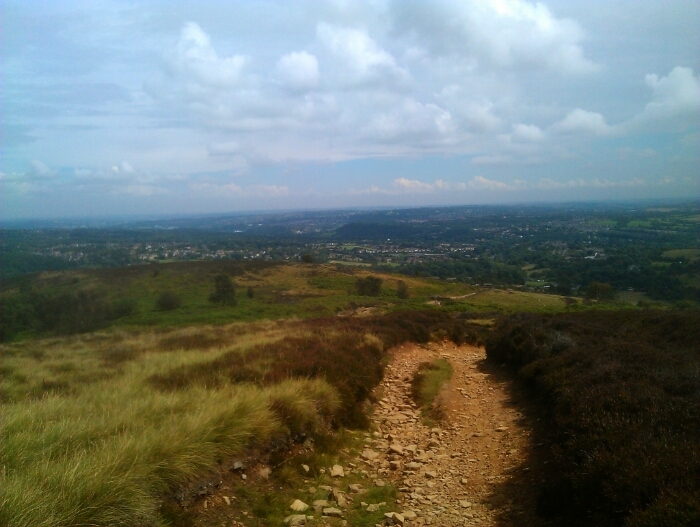 This is a pleasant walk that starts in the suburbs of Sheffield and then crosses wild upland moorland before arriving at the the well known Sheffield landmark of the Fox House Inn. 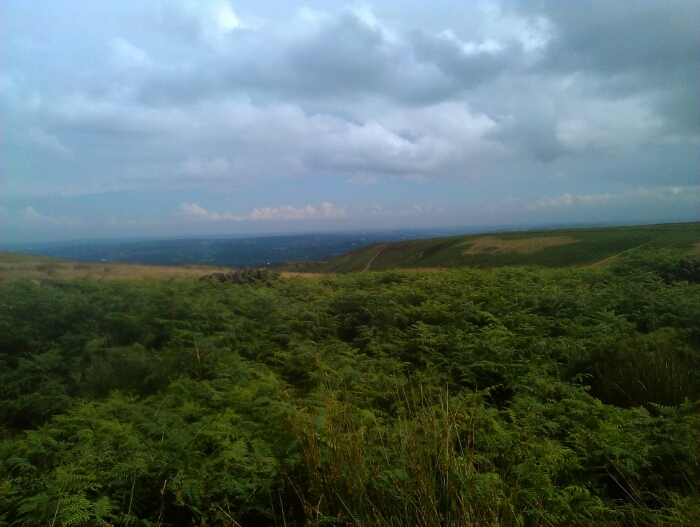 Although this is only a short walk in distance there some very steep uphill section's involved. From Sheffield city centre take the 97 bus bound for Totley or 98 bus bound for Totley Brook to the start of Totley Brook Road these were operated by First and a frequent service in 2012. 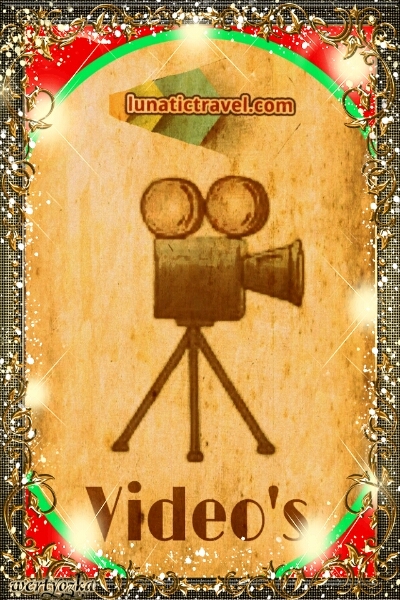 See Traveline for more information. 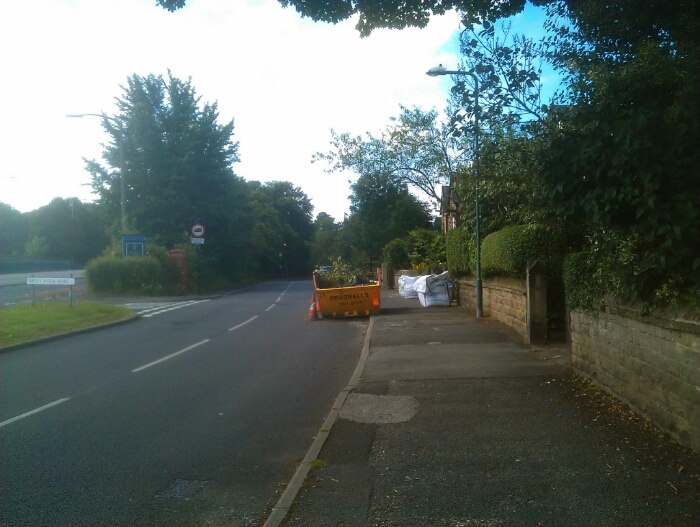 Start the walk by heading up Totley Brook Road. 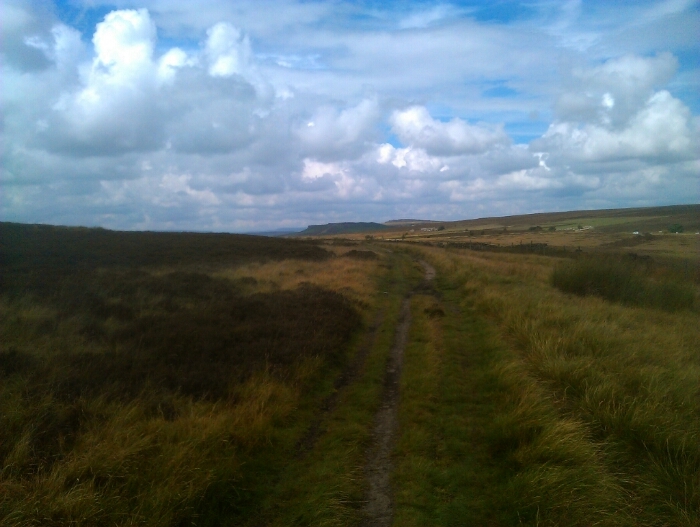 A little further up Totley Brook Rd. As you are walking up Totley Brook road you will notice the main Sheffield to Manchester railway running parallel in a deep cutting on your left hand side. If you care to look there is a footbridge over the railway someway up the road from which you can see a signal box that is still in use (2012). Shortly after this the railway dives into Totley Tunnel, At three miles long Britains longest tunnel with the exception of the channel tunnel. Totley tunnel runs under the moors we are going to walk over to emerge at Grindleford. We are almost following the line of the tunnel. 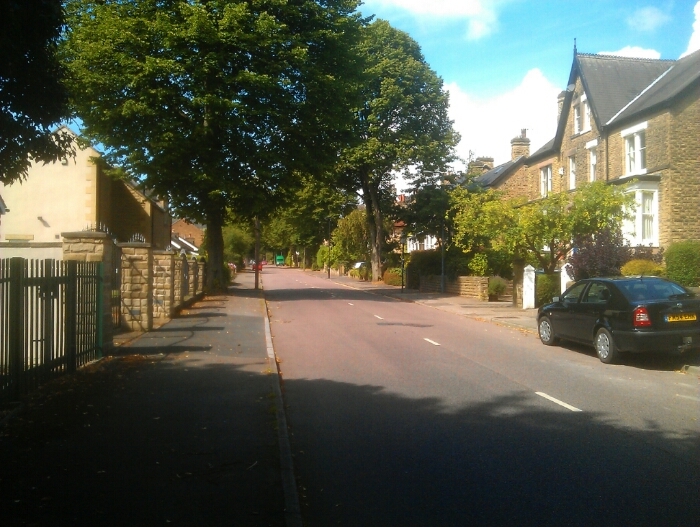 To see the Grindleford end of Totley tunnel see my Fox House to Fox House via the Grouse Inn and Grindleford walk. 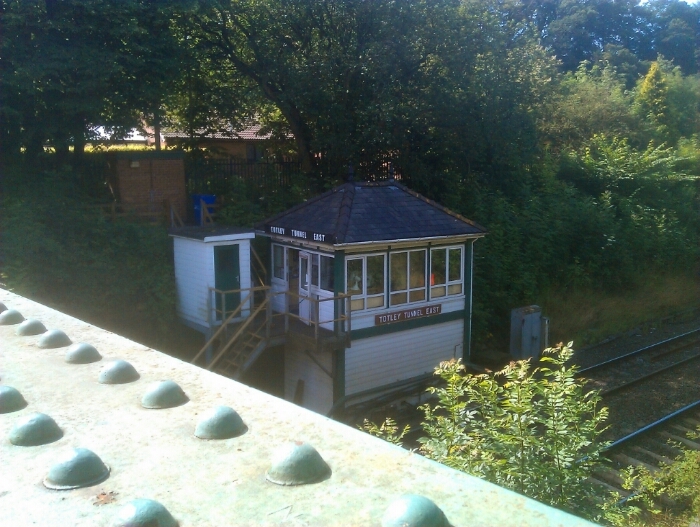 Totley tunnel east signal box. Still on Totley Brook Rd. 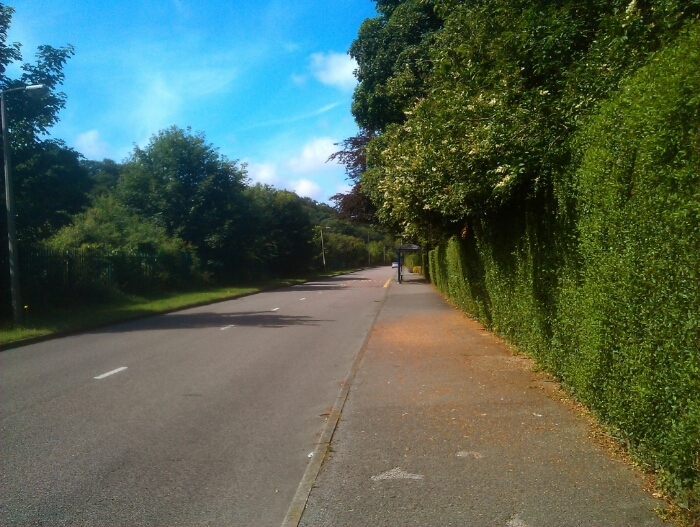 As you walk further along the road it curves gently to the right and houses then appear on your left hand side this stretch of road is shown in the picture above. At the end of the houses on the left take the small lane on the left and cross over a small bridge. Turn left onto this lane as descibed above and follow the ongoing instructions. Follow this lane for a short distance it becomes a driveway with a gate at this point to the right of the gate is a footpath that follows a stream take this path and stay on it ignore the right hand turn that goes over a wooden bridge stay on the path by the wall and you will cross a stone bridge. 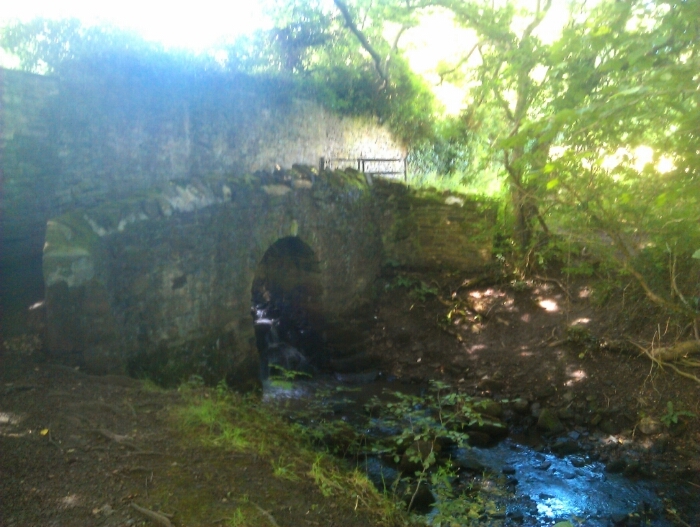 The stone bridge as described above. The path than carries on along the side of a field. It then brings you out at a small stone stile onto a narrow lane turn left walk a short distance to the next right hand turn just before the Crown in. This is Penny lane. 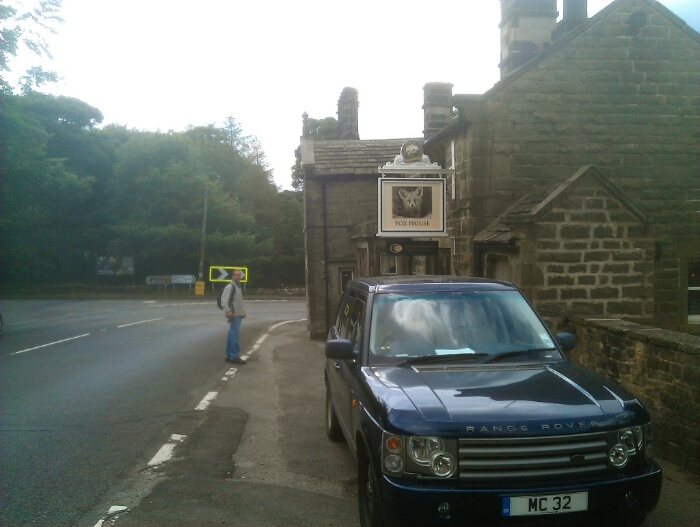 Turn right here and follow Penny lane up to the Cricket Inn at Totley Bents. 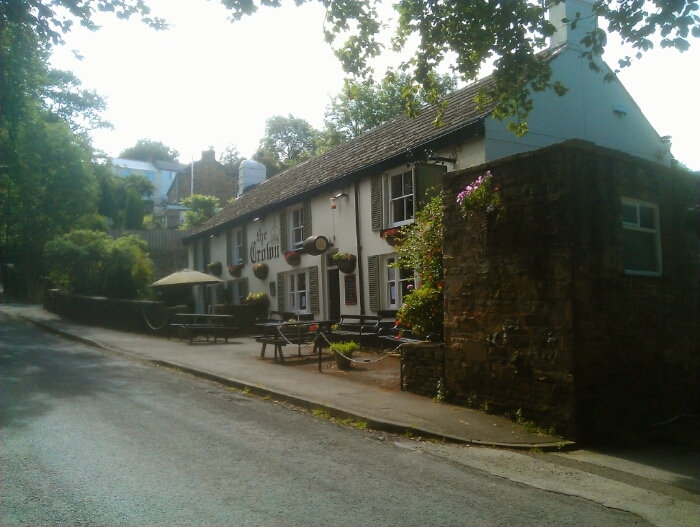 The Cricket Inn Totley Bents. Next to the Cricket Inn there is a small gate that leads you onto a large playing field. Go through the gate cross over the playing field to the far left hand corner where there is another gate that will being you out onto another lane. 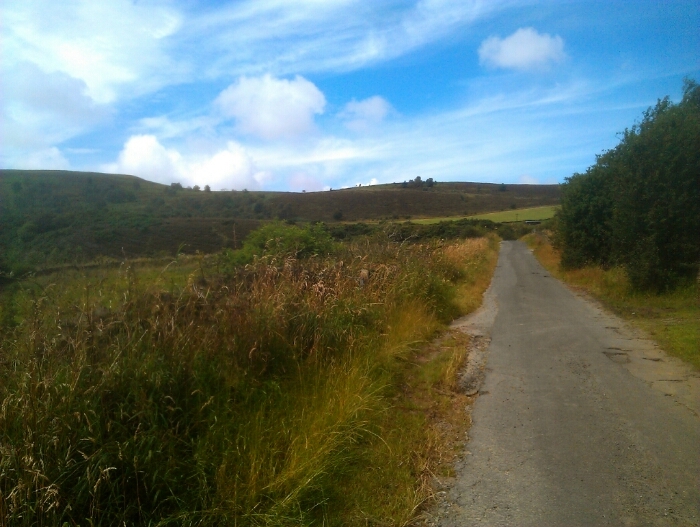 Turn left onto the lane and take the next road on your right you will go up a steep hill aand then the road levels out heading towards the moors. The road eventually curves sharply to the right at this point straight ahead of you is a small footpath (this is of course on the left hand side of the road) that goes up onto a man made mound. 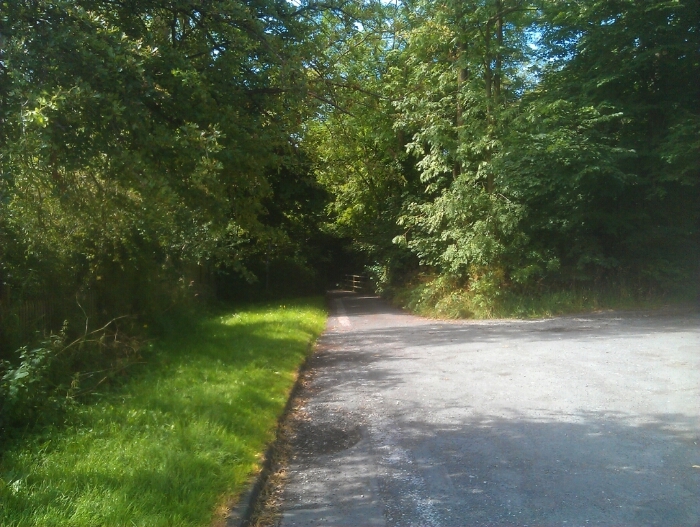 Take this path to the top of the mound and you will see the top of the first ventilation shaft for Totley tunnel. The mound is the waste dug out of the ground when the shaft was built. 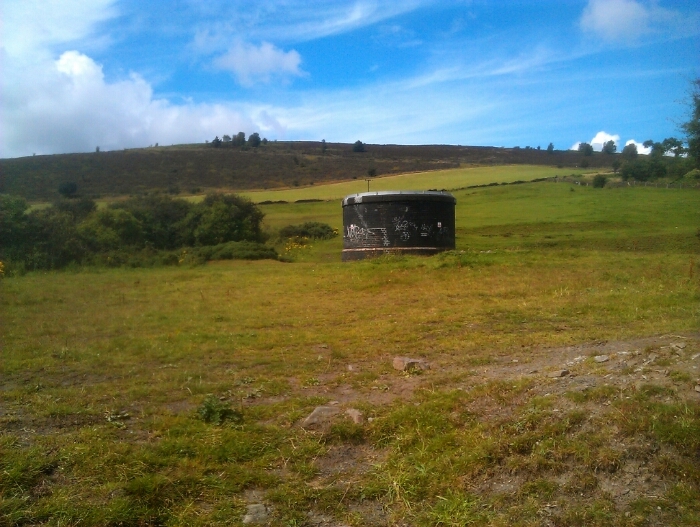 The 1st Ventilation shaft for Totley tunnel. Follow the path past the ventilator and up the hill this becomes steeper and the final bit of this path becomes very steep as it climbs up through the heather. 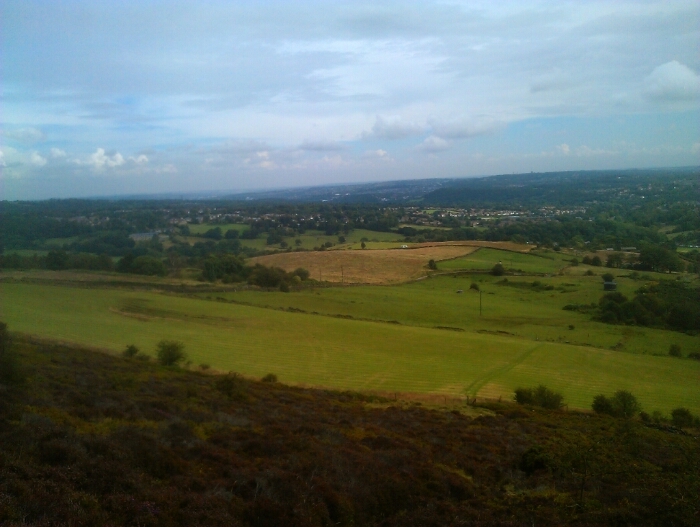 As you climb the views beco accross Sheffield and beyond just get better. 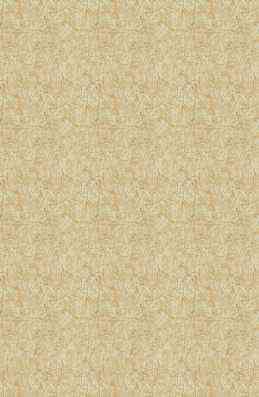 The path will bring you out onto an unsurfaced lane turn left and continue along this lane. 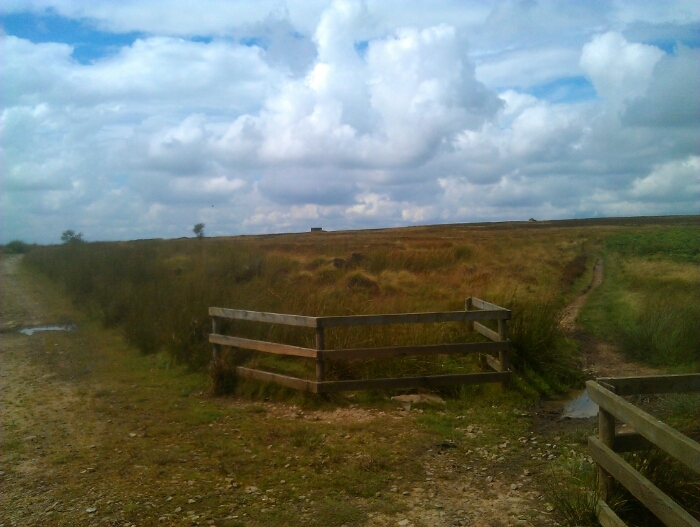 This will bring you to a gate that takes you onto a path across the Moor's. 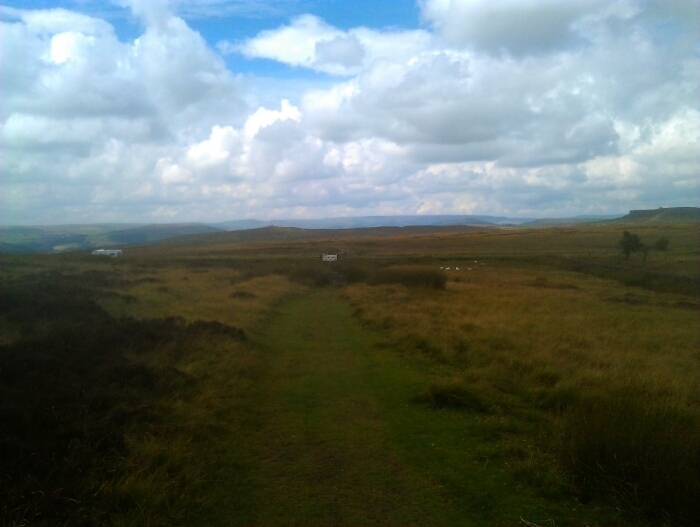 The path leading onto the moor's. Follow the path you will reach a fork keep to the right hand path. 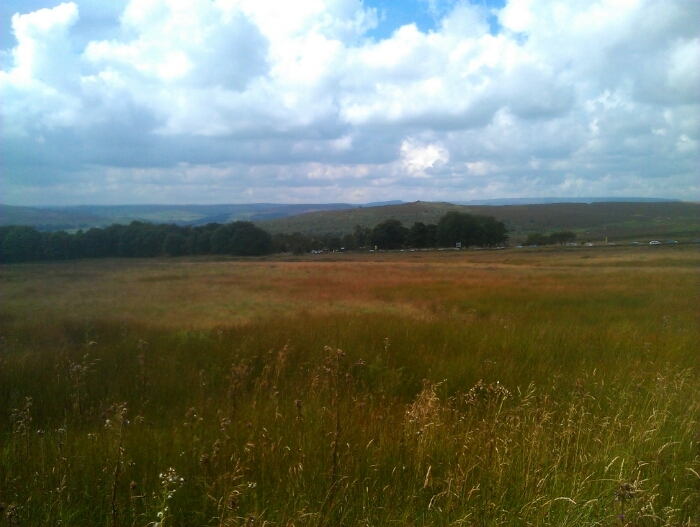 The view of Sheffield and beyond just get better. You will eventually reach a wooden fence take the path that turns off to the right. The fence described above. 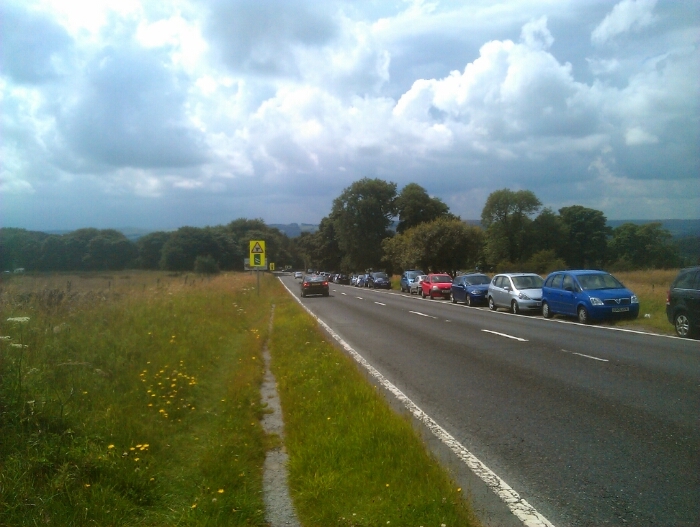 In the distance you can see the second ventilator for Totley tunnel. 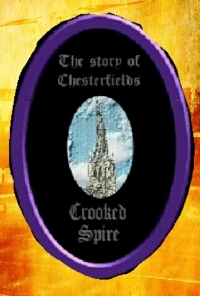 Hard to believe the main Sheffield to Manchester railway is deep beneath our feet. 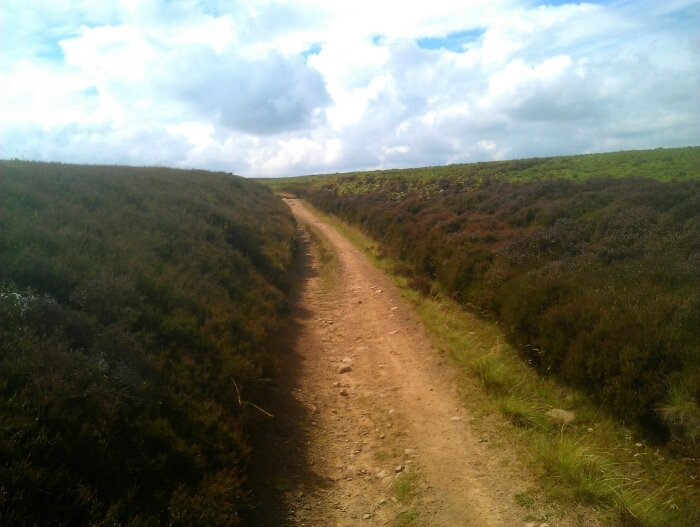 As you walk along this path there are some good views towards Sheffield on your right after which infront of you some good views of carl wark and the peak district appear. The path will eventually bring you to a white gate.and a road.. Pass through the gate cross the road and go over the stile directly accross from the gate. Then just follow the path you are now nearly at Fox house and the route is obvious. Approaching the white gate described above. The view to Fox House which is lurking in the trees. 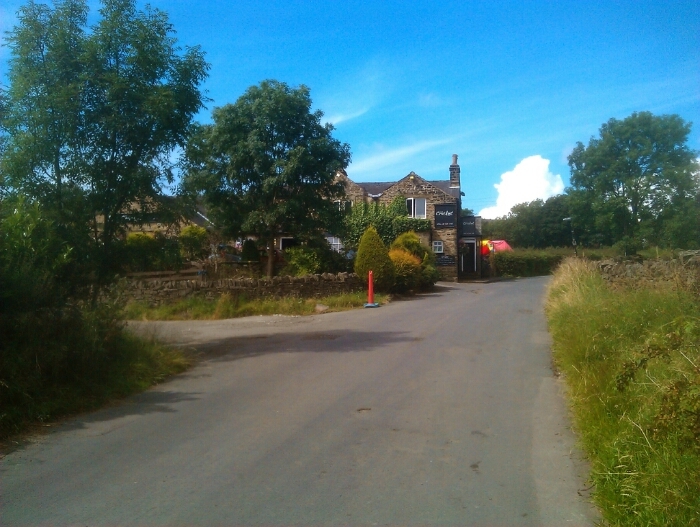 The path will bring you out on the main A625 road from here turn left and it is a short walk to Fox House pub. Once you arrive here have a drink or something to eat or just relax. 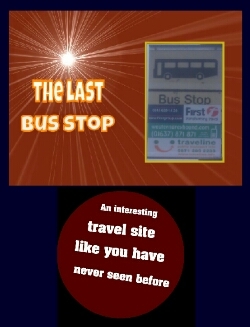 From here the plenty of busses back to Sheffield see Traveline for more information. 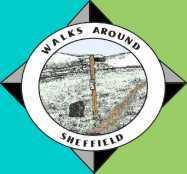 Also see my other walk Hunters Bar to Fox House if you are feeling really fit you may choose to follow this route in reverse and walk back to Sheffield. 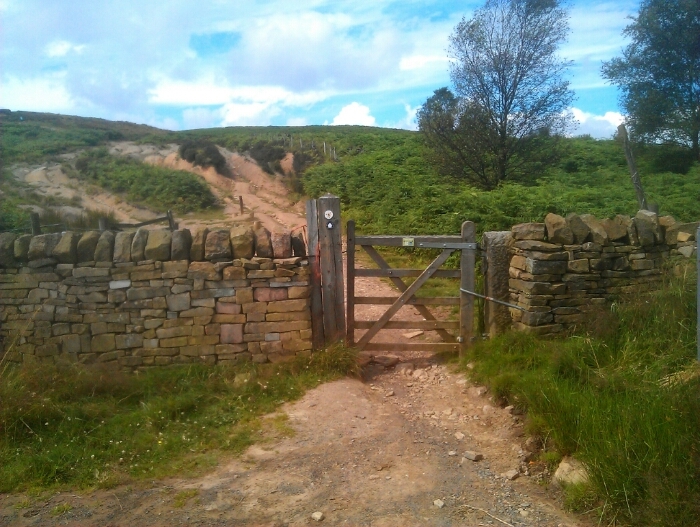 Alternatively you could extend this walk by following my Fox House to Fox House via the Grouse Inn and Grindleford walk.